Many holidays fall on a Monday, resulting in a 3-day weekend. It can be tempting to plan your wedding for that extended weekend, especially if it is a destination wedding. Other holidays hold a sentimental meaning for some couples, so they want to host their wedding day close to that holiday. 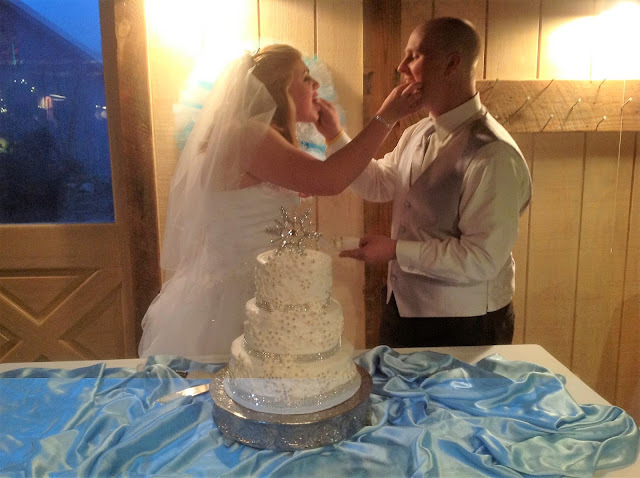 There are a few obstacles that come with planning a wedding in Tennessee around a holiday that you are less likely to encounter if your ceremony and reception are held during a week that is holiday-free. 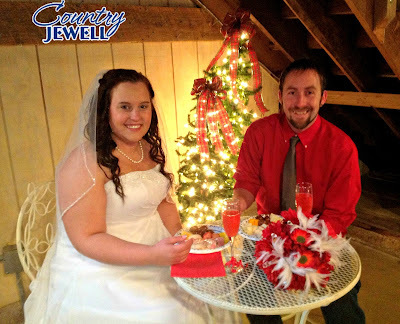 Country Jewell has a list of some things you will want to take into consideration before deciding whether a holiday wedding is a good idea for you and your guests. Do Guests Already Have Plans? Save-the-Dates are generally sent out about 6 months before the wedding date, but in the case of a holiday wedding, you may want to give even more notice. People tend to make their own plans on holidays, so the more notice that you give for your wedding date, the easier it will be for your guests to work it into their plans. Hosting a small wedding, like the kind that fits perfectly at our small wedding venue near Knoxville, can make it a little easier to coordinate with your guests, making sure that plans work best for as many of them as possible. Be aware, though, that trying to fit in both their holiday plans and your wedding may be difficult in some cases, so expect some of those guests to decline your invitation. Is There Time For Both? On the other hand, long holiday weekends can also make it easier for some people to get away from work, especially if they have to travel from out of town to your wedding location. It will be extremely helpful for your guests when you share as many details about the wedding weekend as you can, as early as possible. The more they know about the timing of everything, the simpler it will be for them to work in both your wedding and their own holiday plans. This is a good factor to keep in mind during the wedding planning. You can either plan lots of activities to combine the holiday celebration with the wedding so your guests can do both at once, or you can limit the wedding activities, giving them enough time on their own to do their own thing. Is It a High-Travel Holiday? The holidays that people generally get out of town are the ones that hotels will be booked up further in advance than other weekends. This can also cause the price of travel, such as airfare or gas, to go up too, which means it will cost your guests more to get to your wedding. Advance notice and detailed information can help with this, but the added cost may deter some guests from attending. Keep vendor pricing in mind for yourself too. For example, florists may cost more around Valentine's Day when they are already in high demand. DJs and bands are needed for New Year's Eve celebrations so their prices may go up around that time of year. Take the particular holiday you are planning to get married near into consideration. If it's one that people may have long-standing traditions connected to, they are less likely to break that tradition to attend your wedding. Also, holidays such as Thanksgiving and Christmas are most often times to get together with family, so guests may be having to choose between their family and you, their friends. The upside is that you can use some holiday traditions as inspiration for your wedding. You can use the activities, decorations, and foods surrounding it to inspire some of your wedding planning choices. For example, snowflakes and cranberry cocktails for a Christmas wedding, and a red, white, and blue color scheme with a sparkler exit for a 4th of July wedding. For New Year's Eve weddings, you will want to start everything later than usual so that the party is still going at midnight instead of leaving your guests on their own looking for a place to count down the New Year at 11 pm. Last but certainly not least, if you have your heart set on getting married on a particular holiday, do it! Just make sure that you can allow yourself to not feel guilty about any guests that are unable to attend. On the flip side of that, it is courteous to let your guests know that they should not feel any guilt in turning down your invitation either. There are both good and bad factors surrounding the planning of a holiday wedding at our scenic wedding venue near Knoxville. You, as a couple, need to decide what is most important to you and make that work with the wedding planning you are doing. This is your special day at Country Jewell, and in the end, do what makes the two of you the happiest.